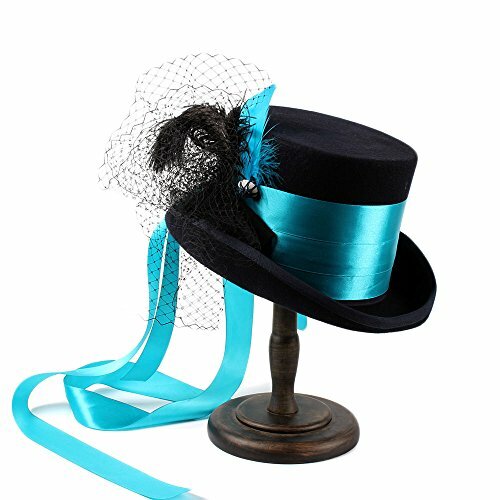 Black 6 inch wedding top hat with black, blue sating tin on band with Merry Widow face veil and full tulle rear veil with collar. Purple rear finishing and small round Victorian buttons, side and rear ribbons in band colours finished with purple ostrich feathers. There is a choice of feather and ribbon colour and can customise the colour of feathers and ribbons to suit customer.